It’s always a big deal when Martin Scorsese makes a movie that involves mobsters in some way, like when Tim Burton makes a movie with Johnny Depp doing something weird or when George Lucas makes a movie with robots, and Scorsese’s Netflix movie The Irishman seems like it’s going to be a particularly big deal (if only because we’ve been hearing about it for years). 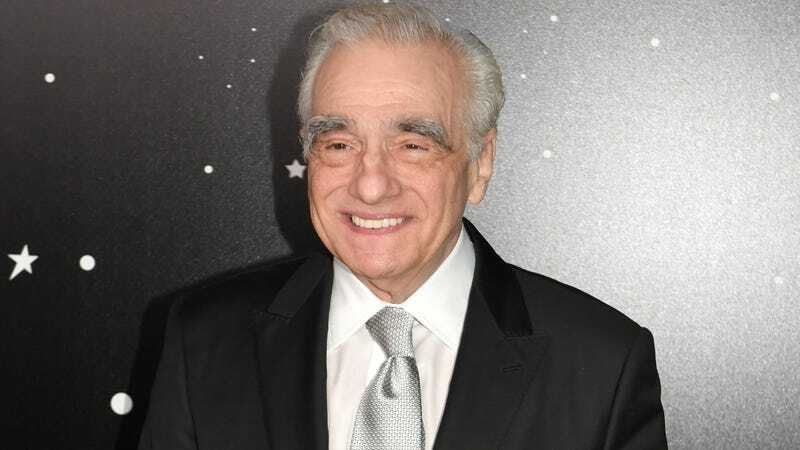 However, longtime Scorsese collaborator Thelma Schoonmaker says that mob fans shouldn’t go into this expecting it to be the second-coming of Goodfellas. Speaking with Yahoo, she says it’s “completely different” but people are still “going to love it.” She doesn’t elaborate on that, but it comes right after she mentions that people get sucked into watching all of Goodfellas when they only intend to watch for a little bit, so perhaps The Irishman—despite still being “wonderful,” as she puts it—won’t have that same kind of draw for whatever reason. One draw that it will have, though, is watching young Bobby De Niro running around as a young man for a whole lot of the movie. We’ve known since 2017 that De Niro would be digitally de-aged for the movie, but Schoonmaker has also revealed that half of the story will feature De Niro as the young version of real-life gangster Frank “The Irishman” Sheeran alongside digitally de-aged Al Pacino as the young/alive version of Jimmy Hoffa. The other half of the story will have De Niro and other actors who were de-aged playing their actual ages, which should be a nice treat for people who like to see Robert De Niro is an old man. If you’re wondering why this isn’t common practice in Hollywood, with old actors taking all of the sweet roles from younger actors, the answer is apparently that this de-aging technology is extremely expensive and time-consuming. Schoonmaker notes that Netflix is “taking a risk” on the project because it’s so expensive, and the de-aging effect takes so long that she has yet to see a full scene of De Niro de-aged—even though she’s an editor on it.